3 gun? NRa High-Power? With the Same Rifle? Yes. Well here it is. There are incremental changes that will occur as the season progresses. I am on a limited budget and incremental trading and selling of possessions has led me to this point. If I can sell the shirt off my back to fund my gun purchases, I will. I have no shame. The AR15 is versatile. We have all heard that before… I want to make it a reality in practice. The rifle as it sits is ready for the matches. The first High Power match is April 18th at NHRPC. I will be shooting in “Any Rifle” classification as unclassified with the Aero-Precision M4E1 upper, Vorted Razor HDII, and my A5 /PSA lower receiver. I am using my hand-loaded 69 grain SMK from last year… My Dope cards will carry over well as my optic features 1/2 x 1/2 minute adjustments just like my iron sight service rifle i used last year. Switched back to the A2 flash hider to stay legal in High Power competition. I am running a Criterion Barrels 18 inch Hybrid Barrel for the build with a clamp on PRI Flip up front sight for when I feel nostalgic. 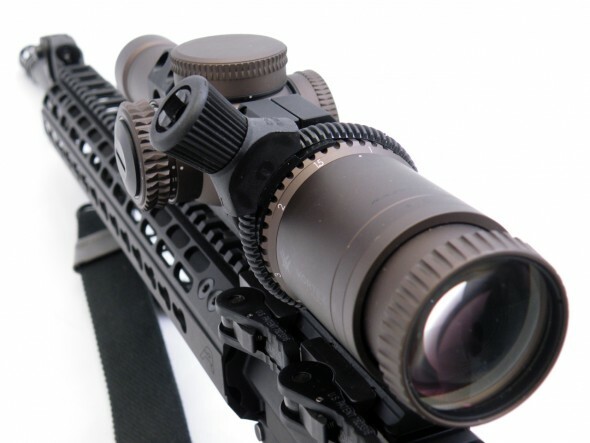 American Defense Manufacturing scope mount. I wanted to lighted the system up with an Aero Precision ultralight scope mount, but it was out of stock pretty much everywhere. A USGI web sling stands in until I get my new shooting sling. It is attached as shown with my IWC bipod mount / sling swivel. I hope the NRA, in the future, can make the “any rifle” option more attractive to shooters. This rifle as it sits can do 3 gun, home defense, and High Power and so can any rifle that might be sitting in your closet. The key is marketing and making this type of shooting attractive to new shooters so they can give all aspects of the sport a try with the a rifle they already have. I don’t know too many young shooters who have a service rifle. With a better defined any rifle classification, then CMP and High-Power can attract the guys who want to learn to shoot at a distance at a faster pace than the sport does now. Part of why I am blogging is to learn to shoot, and part of it is to propagate information of the AR15… and one more aspect is to make it obvious that learning to shoot and competing is something *anyone* can do.